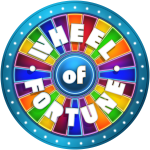 20 years ago today, Wheel of Fortune celebrated its 3,000th nighttime syndicated episode in Las Vegas! Pat and Vanna celebrated Wheel’s 3,000th show by doing a special historical retrospective which featured classic clips including Vanna’s first show in 1982. Does anyone remember watching the 3,000th show? I do! I appear in it for 3-5 seconds! I’ve been dying to find a copy of the ep somewhere. I taped it. I'm sure I still have the tape somewhere, and I know it was uploaded to YouTube a while back. I even made this in honor of the 20th anniversary of the special. I remember seeing your clip on the 3,000th show when it was posted online somewhere.